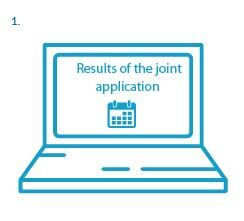 Higher education institutions will publish the results of the joint application as early as possible. 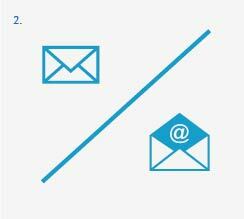 You will receive an email or a letter notifying you of the admission result. 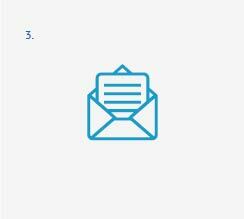 You will receive the results for all the programmes that you have applied for. You can only accept one study place per term. First you have to accept the study place. Confirm the offered place electronically through the link in your email notification or send the confirmation form to the higher education institution by the given deadline. 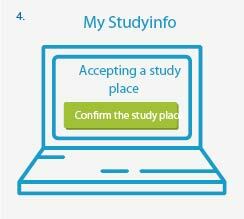 If you have a Finnish ID number and online banking credentials, mobile certificate or an electronic ID card you can also accept the study place by logging in at the My Studyinfo -service.